I had high expectations before I went to Calaguas. Sometime in 2009, a fellow traveler mentioned this "virgin" white beach in a far away island in Camarines Norte. She made it appear like I'm no good if I wouldn't be able to set foot in that "happy beach." Ever since then I started reading Calaguas-related blogs, drafted my own itinerary, reseached DIY and budget trips, mapped out possible vacation leaves, thought of the people I would want to be included in my trip, and day-dreamed of its powdery white sand and clear blue-turquoise waters. After more than three years, I can finally cross out this place from my must-visit list. And thanks to the invitation of my dear friend Lala, I made it to Calaguas! My thoughts about the place? Let's just say I was beach-struck! Calaguas delivered, more than enough for me to choose it as the best beach that I've been to. It has the fine sand of Panglao Island, the gorgeous sunset of Boracay Island, the remoteness of Caramoan, Palaui Island and Malcapuya Island, the rawness of Palumbanes Island, the vast shoreline of Pagudpud, the blue waters of White Island in Camiguin and the idyllic beauty of Nagsasa Cove. All my planning didn't materialize. I would have wanted to go there on my own effort, do a DIY sort of adventure, but when Lala told me that we will join a group tour (Calaguas Hullabaloo), I agreed right away. I thought that if in that way I would be able to fulfill a dream, I'm all for it. So we set the date, deposited our payment, and patiently waited for the last weekend of April 2012. The day arrived. Lala, Gerwin, Cha and I met at Philtranco Terminal in Cubao. A few minutes before 9 in the evening, we boarded a bus bound for Daet, Camarines Norte, and started rolling towards south. I didn't get a shuteye that night because of the friggin freezing bus aircon. (A note to everyone traveling in a bus, bring a warm blanket with you. Otherwise, you would know the feeling how to be thrown in a remote town in Siberia!). We finally arrived in Daet around 6 in the morning. For our breakfast, I wasn't much surprised when our bus stopped near Jollibee. I'm pretty sure all provincial capital towns/cities in Bicol (Virac included) have the smiling bee around. Although Daet is prolly one of the towns in Bicol that I don't have much knowledge about. As I look around, I realized it's not much different from my hometown Virac (they have Bazaar and Footstep there too!). After breakfast we moved to Vinzons, a town 15 to 20 minutes away from Daet. We were dropped off to a port where bancas going to Calaguas Island are docked. Since we were traveling in a large group, about three big boats were boarded to accommodate everyone. Provisions were loaded: rice, eggs, fruits, tents, etc. But what struck me most was when speakers and genset were among the items being loaded. Then Lala told me that those are to be used for a mobile party that will be set up for the group we belong to. I was like, wth. I didn't go there to party. Well. Anyway. We started our two-hour cruise bound for Calaguas at around 9 a.m. One thing I learned from my research about this island is the massive waves that are to be expected along the open sea. I was ready to brave it so I made sure that my bags and camera were water-proofed. But luck was on our side, the sea was calm all the way through. After two hours, we finally touched down in Mahabang Buhangin Beach. Calaguas is composed of major islands under the jurisdiction of Vinzons, Camarines Norte: Tinaga and Guintinua. The island of Tinaga is where the famous long beach called Mahabang Buhangin is located. We were also treated to a beautiful dusk that day. And as the sun set in the horizon, the sky and the beach hues changed to shades of pink, purple and orange. We waited till it was already pitch dark before we got off the water. I heard music played from somewhere not far, I saw bulb lights from the camping area. Soon, a beachfront mobile party run at full throttle, and an acoustic music started filling the supposed silent beach. While I respect other people's choice to enjoy the place through booze and beats, I personally would have wanted to just keep the nightlife in that place to a low key. I myself would have wanted to bring in some booze and do my own little partying with my own little crowd but I chose not to because that was not the reason I went there anyway. I understand that every person has every right to enjoy the place the way they wanted to. As my friend said, to impose on to other people not to bring the party to Calaguas may seem like an elitist (and somewhat arrogant) mindset. So yes, other people have the right to party, but I'd like to appeal to those tourists and tour operators to keep their party music low and shorten the revelry time. Please don't bring large speakers and noisy generator set. I would like to make it known that I was with one of the groups who brought the party to Calaguas. Lala, Ger, Cha and I slept through all the party madness, though. The four of us were probably the only people in the island who slept after dinner and skipped that beautiful Saturday evening. I was awaken by drops of light rain on my forehead at around three in the morning. I realized then that Cha and I were deeply asleep that we totally forgot to zip our tent! The drizzle stopped, and I decided to catch some cool air near the sea. In contrast to the party that ushered me to sleep the other night, the silence that I woke up to in that wee hour of the morning came almost like an unheard of music to my ears. The people around me were tucked in their own tents, and I felt privileged enough to embrace the darkness and silence around me. The ripples touching the shore and the rhythmic songs of the birds were the only sounds that kept me company. My peace was cut short when I saw discarded bottles left lying on the shore where the party was held. Instantly, I realized that this is where my real battle against "bringing the party to Calaguas" lies: leaving the trash on the shoreline is non-negotiable. Seeing cigarette butts, candy wrapers and plastic bottles beachfront is plain ugly and show lack of discipline both of the tourists and the tour organizers. I'll say it again and again to all tourists, please respect our beaches. Please be responsible enough to bring trash bags and to not leave it in the island. If you can, bring your own trash home with you. Cha and I chose to wait for dawn on top of the hill overlooking the entire beach area. From there we had the chance to see birds making their early morning glide. And since my bird knowledge is as limited as my math knowledge, I just categorized the ones I saw according to color; whites are doves, blacks are hawks or eagles, yellows are kingfisher. I also saw some lovely wildflowers along the trail. From the hill we explored the long stretch of the white beach. Since it was already our final day, we left no room for other activities other than swimming in the beach. I soaked in the sun, sand and sea to my heart's content! It took a lot of convincing before Lala and I decided to finally get off the water and rinse up. I felt like it will take a long while before I will be back in Calaguas, but definitely I will return. Thanks for the weekend Lala, Ger and Beky! Finally, I wish not to see Calaguas suffering the same fate as those of other major destinations in this country. I don't want it to succumb to the perils of heavy influx of tourists: too much commercialism, over-development, noise and littering. I don't want it to be just like another Boracay, another Puerto Galera, another Anawangin. I hope it retains the beauty and rawness that it already has. I hope Calaguas remains to be Calaguas, my best beach in the Philippines! Let's all protect Calaguas Island! Peace and love from Calaguas! hi mam, macolabo is not part of calaguas group of islands :) separate po sya. macolabo and samong island is part of paracale..
We missed you.. sayang talaga. We will definitely go back, kasama ka na dapat. Awesome shots! 'luv the sunset! che, we've booked our flights, we'll be home mid january-mid feb next year. so, nono and i were thinking, we should go on a trip, like Calagauas or perhaps Catanduanes?? text me using your number and we'll get to the details, your fare and meals are on us. sorry, i didn't know how else to get to you. i'm psyched! woohoo!! yee go go go!! see u next year. txt me on my roaming, pls? Salamat po. Don't postpone the trip, go! :) Safe travels to Calaguas! The photos are all lovely!I'm so proud to be Bicolana! 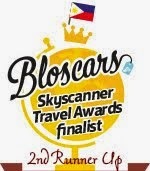 And so am I, proud Bicolana. :) We have a lot of beautiful places within our backyard! :)) Thanks for visiting! Thanks for Sharing Che! :) i'm excited to go there soon. Kaya pala may mga big speakers and genset na dala ang inyong group tour eh ang pangalan is hullabaloo (great noise!) sana naman pag punta ko dun walang ganyan or else it will ruin my stay. How is the boat rental to calaguas island? Will be here che on our first anniv. Your blog is very helpful. Cleared out my indecisiveness. pls allow me to send this message. may i invite you to visit our small barrio with clean and nice beaches,the cabongaoan beach and batog beach.not as good as calaguas.but i can say ,our beaches are clean.not yet commercialized.if ever po.i can help you arrange your trip.i can send photos to those interested po. Hi! Ask ko lang po kung nasa magkano dapat ang budget going to Calaguas including all the activities na maganda gawin? Plano ko po kasi pumunta mag-isa. At baka may mga tips po kaso for the accommodation lalo pa pong mag-isa lang ako at planong magstay for a week. Salamat po. Can i ask,what camera model u used? Great shots! How is Calaguas as compared to Anawangin?